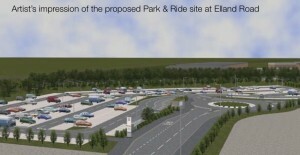 Controversial proposals for new park and ride facilities off Elland Road in Leeds have been granted approval by city councillors. The plans, which can be viewed here, are for a 425-space main car park, with 15 dedicated disabled spaces and an overspill area for another 375 cars, built on ‘Car Park D’ at Elland Road – the car park nearest the railway line. The site is opposite the new West Yorkshire Police HQ, due to be completed in mid-2014, and the plot is shared with the site of a proposed ice rink, which could start getting built next year. The decision comes despite local opposition from residents, most notably the Beeston Forum group, and local councillors Angela Gabriel and David Congreve. Their concerns included extra traffic in the area and more pollution. Some argued the park and ride isn’t far enough out from the city centre to be successful. Other concerns include the overall impact of the scheme on nearby residents. “All this scheme does is take cars off the M621 and inner ring road and into this area – it’s the only way you can get to the car park! If we do that we’re just going to cause more traffic congestion. Despite the approval of the plans, there didn’t seem to be a lot of genuine affection for the scheme from elected members on the city plans panel. Headingley Liberal Democrat Martin Hamilton spoke of a ‘tension’ between providing something that people want to use and the ‘council’s keenness to get on with it’. He also raised concerns that there were no details about the quality of landscaping around the park and ride. Concern was also raised that portable cabins would be on the site and that these needed to be turned into proper buildings with a fresh planning application in a couple of years. Planning officers argued commuters will be signposted towards the site from the west via the ‘Cemetery Gates’ junction that links the outer ring road to the M621 at Junction 2, rather than past houses along Elland Road itself, minimising the impact on local residents. The bus services running from the park and ride would be ‘greener’ than older buses. 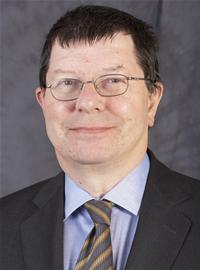 Morley Independent Cllr Tom Leadley said he wasn’t convinced by the need for more buses as existing services served Elland Road particularly well. The meeting agreed that a report updating the success or otherwise on clamping down on 18 illegal city centre car parks should be brought before the panel. This entry was posted in News and tagged approval, city centre plans panel, decision, elland road, leeds, leeds city council, park and ride, public transport. Bookmark the permalink. “proposed ice rink, due to open towards the end of 2014.” Should that be due to start work on? I recall reading that some of the land wasnt due to be sold to developer until 2014 at the earliest. Reblogged this on Greyhound Box & Packaging. Pingback: Let’s park here and get the bus into town… | What Can I Do About It?